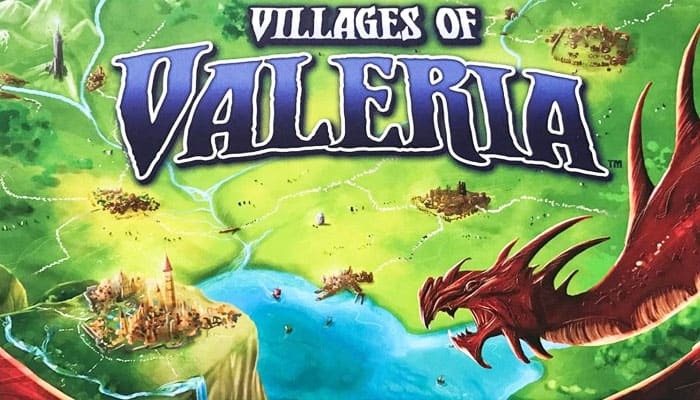 After many years of fighting hordes of monsters, the King of Valeria and his valiant fighters have finally pushed back the evil forces surrounding his kingdom. The battles have left their painful mark upon the land-most notably with the destruction of the once glorious Capital City of Shilina. 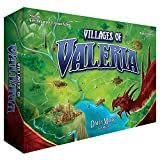 It is now a time of peace and prosperity, and the citizens of Valeria have begun to rebuild their war-torn kingdom. The King has dispatched his heralds to every corner of his realm to announce his desire for a new Capital City. Reigning over one of the Duchies, you must rally your people, develop resources on your lands, and lead the construction of a thriving village around your castle. Outwit your fellow Dukes and Duchesses by attracting famous adventurers to bring great prestige to your village. This is your moment to be remembered for all time by becoming the architect of the next Capital City of Valeria! Tax: Take 1 Gold and Draw 1 Card. (Follow: Draw 1 card). Harvest: Draw 3 Cards. (Follow: Draw 1 card). Develop: Discard 1 card to add a Resource to your village. Follow: Discard 2 cards to add a Resource to your village. Build: Add a building to your village. Draw a card. 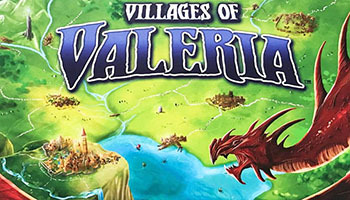 (Follow: Add a building to your village, but do not draw a card). Recruit: Pay 1 Gold to add an Adventurer to your village. (Follow: Pay 2 Gold to add an Adventurer to your village).